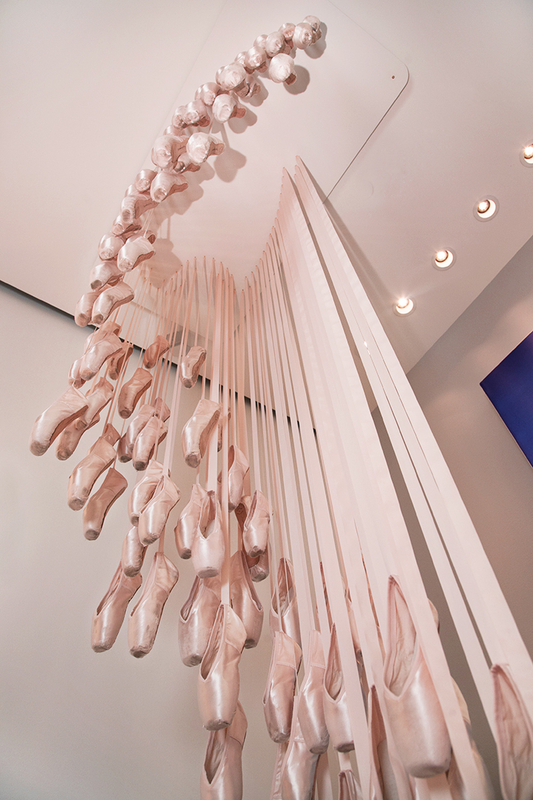 Suspended in-store display comprised of various sizes of ballet flats with matching ribbon. 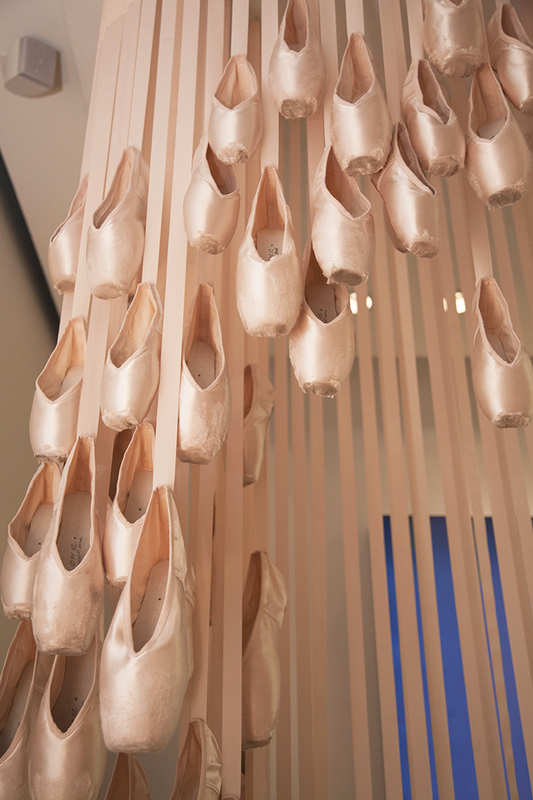 The installation, accompanying an ad campaign featuring the New York City Ballet, was designed to have a light, airy, and graceful presence. Photography by Danielle Stingu.